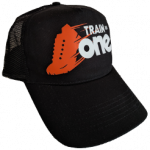 Trucker cap with TrainAsONE logo on the front panel. 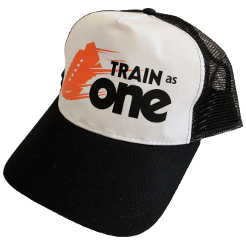 Ideal for keeping the sun out of your eyes on those long runs. TrainAsONE logo on front panel. 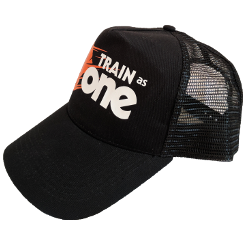 100% cotton front panel and peak.